The Austrian Arbitration Academy of the University of Vienna offers an intensive, five-day program on "Arbitration Rules in Practice" in cooperation with SHS, VIAC, YAAP and ArbAut. 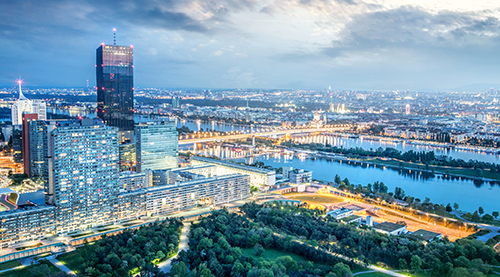 The course takes place in Vienna from 26 February to 2 March 2019, immediately preceding the Vienna Arbitration Days. Successful participants will receive the University of Vienna-Austrian Arbitration Academy-VIAC practice diploma. Austrian associates can receive individual accreditation for the participation from the Vienna Bar Association. The fee amounts to € 600,00 which includes registration, tuition, lunch & coffee breaks, dinner as well as the registration fee for the Vienna Arbitration Days (excluding conference dinner & ball). Application deadline is 20 December 2018. For further details please click here. Jointly with our Czech colleagues, YAAP is organizing a Round Table in Prague on the eve of the official launch of the Prague Rules. Save-the-Date for the 2nd GAR Live Vienna on 19 October 2018 in the premises of the Austrian Federal Economic Chamber (SkyLounge). The YAAP Anniversary Conference will be preceded by the YAAP Annual Meeting at 4:00 p.m. and the ArbAut Annual Meeting at 4:30 p.m.